Prop Workshop is a family business founded in February 2012 by former prop stylist, Loren Simons, her family and friends. 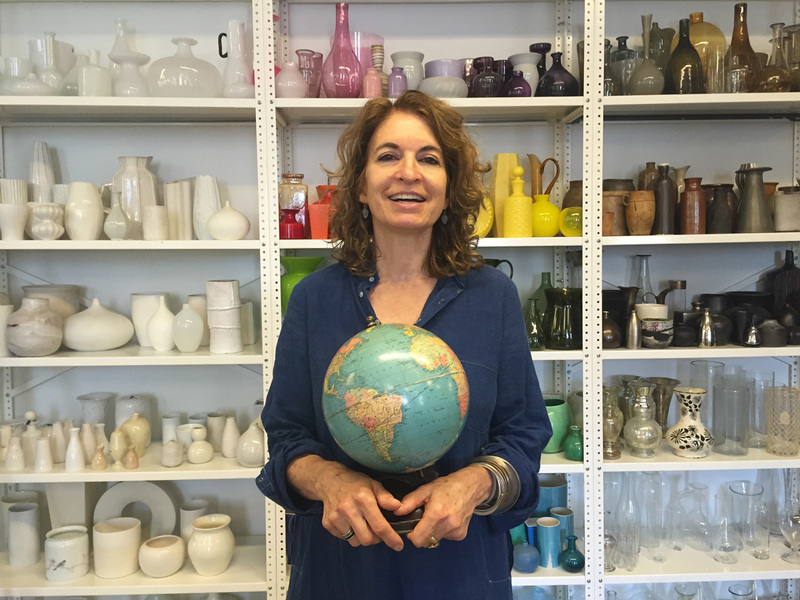 Starting with the collection Loren amassed over her 15 years in the business, we partnered with Leslie Siegel, who created a beautiful and extensive surface collection. We also added props from other friends to round out the collection. 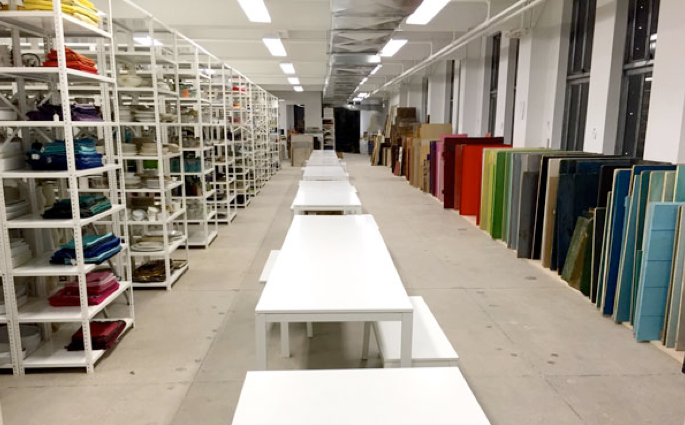 In January, we moved to a beautiful new space at 1239 Broadway. We now have a 2,000 square foot photo studio with a state of the art shooting kitchen. Our 80,000 beautiful props are curated and organized to make your job easier. 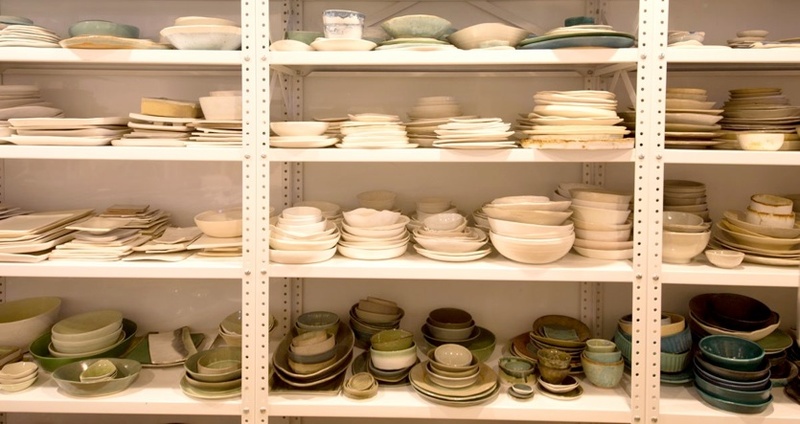 And, if we don’t have what you need, we’ll help you find it.In addition to Loren, our daughter Aliza (also an assistant stylist) contributes Henry Street Studio Ceramics, a line of ceramics that she creates with Loren. Our son Casey makes metal spoons and bowls along with graphic silhouette illustrations. Loren’s husband Josh is a graphic designer responsible for the design, photography and maintenance of this website.We hope you will come by Prop Workshop and Workshop Studio, even if you just need a place to stop and have lunch. Our kitchen is always stocked with lots of snacks and Marly, our dog, will be happy to see you!Propping is hard; Prop Workshop makes it easy!